1) I have finished the first two lessons (illustrations and all) of my Ephesians series for the youth this week. I have one more lesson to complete. Hopefully I will be able to knock that out this morning/afternoon as well as write up the accompanying Bible Study guides. 2) The grass, where I have planted it, is starting to fill in in some places. Hopefully it will take root and thrive in this summer heat. After all, it is Bermuda. If I have a good deal of it survive this summer, I only need to poison the crabgrass and weeds every now and again and watch the Bermuda spread like fire. I hear the other name for this grass is “Devil’s Grass.” I will be disappointed if it doesn’t take root in my yard as sin does the soul. 3) I have been working on a bit of German through Rosetta Stone off and on as a refresher of what I already know. 4) I just finished translating Books 1 and 2 of Augustine’s “Confessions.” The reading has been surprisingly easy so far with the exception of the fact that there are occasionally some intricate phrases because Augustine is seeking to dissect the nature of “calling upon God.” So far…good times had by all…well…at least by me. 5) I am looking forward to starting this Bibliography class. I have 10 books on my shelf calling out for my attention. 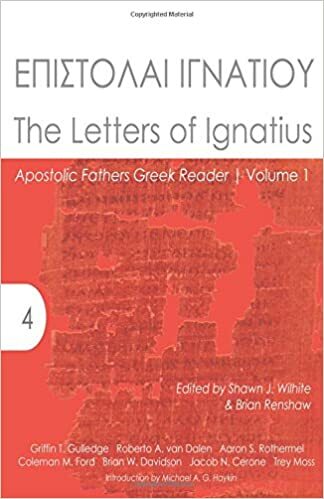 This entry was posted in Biblical Studies, German, Life, New Testament Studies, NT Greek and tagged Augustine, Confessions, Ephesians, Grass, Latin. Bookmark the permalink.